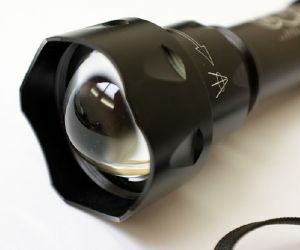 Our B22 IR LED illuminator is a great addition to your night vision setup. 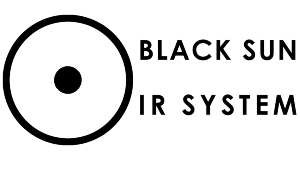 The B22 IR is fitted with the latest Black Sun 2 IR System pill giving 3-5x the output of other IR LED illuminators and a 40% power increase over the standard B20 version. This was a gift for my son so I can only say that he knew what he was getting and very pleased with the item. He is a man who knows exactly what he wanted and was grateful for an amazing present. Very powerful for the size, lighter and more manageble than the 72mm which is a real brick. Works well but will cut out if left on for any length of time looks like it over heats. Not very even ir transmission such that it's easy to get areas of glare but no worse than any other. Swapped the button switch for a more reliable one. Thanks for the review. It would be worth trying some different batteries. It sounds as though the ones you have aren't able to supply enough power to the IR or they have a fault in their protection circuit. Stunning kit at good prices. As advertised, more powerful than a standard AS pill and well pleased with the output.